Since many people do not know what to expect in bankruptcy proceedings, we would like to acquaint you with the general pattern of how we handle cases of this type. We feel it will be helpful to both our Clients and to ourselves if they know in advance what to expect. 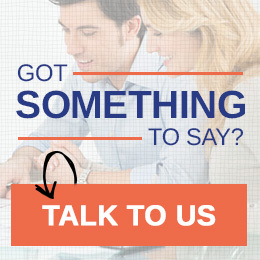 When you first contact our office by phone or email, we will ask you some general questions. We often ask our clients, which kind of debt troubled you mostly? Do you own a house? What is your current income? How many people in your household? By doing so, we gain some ideas of your financial situation. You will then be offered to come to our office for a free initial consultation. Many people have asked: what should I bring to the initial consultation? Here is a list of documents that you may want to collect for the meeting. For car loan or home mortgage, copy of the latest statement showing the balance due on the debt. Copies of last six months of bank statements (all accounts) showing the amount and frequency of the client’s income. Copies of any lawsuits or judgments, regardless of whether the client is a plaintiff or defendant. Copies of any family trusts, and prenuptial or postnuptial agreements. For vehicles: Copy of unexpired DMV registration. When you are interviewed the first time at our office, more information is obtained regarding your financial situation. We will help you decide if bankruptcy is the right choice for you. We will explain to you the advantage and disadvantage of Chapter 7 bankruptcy and Chapter 13 bankruptcy. After learning about all of your options, if you decide that filing for bankruptcy protection is the right course of action for your situation, we will help you completing long questionnaires that is necessary for us to prepare the petition. We will also give you further instructions as to what documents are needed before filing. Before filing for bankruptcy, you will have to complete one consumer credit counseling session. You will also need to provide paperwork documenting your monthly income; monthly living expenses; secured and unsecured debts; student, personal, or business loans; real estate holdings; personal property and assets; any major financial transactions in the past two years; and copies of your last two tax returns. In short, you will need to provide your creditors and the bankruptcy court a full and honest disclosure of your financial situation. Anything less and there could be major problems. Once the paperwork has been collected, we’ll file the bankruptcy petition along with schedules for property and other exemptions available to you with the federal bankruptcy court. Once your petition has been filed, an automatic stay goes into effect prohibiting your creditors from contacting you directly and putting a stop to wage garnishment and home foreclosure proceedings. After filing, the court then appoints a Trustee to pay your creditors, review the documentation you have provided, and raise challenges to any of your information. The Trustee will also schedule what is known as a 341 meeting with your creditors. Although few creditors bother attending them, you are obligated to attend by law. The law also requires you to complete an additional debt management course to complete the bankruptcy process. If you have filed under Chapter 13, a judge will review the repayment plan we’ve proposed, you begin making your payments 30 days after the petition is filed.